If you haven’t tried Prescription Chicken yet, we’re sorry because you are truly missing out. 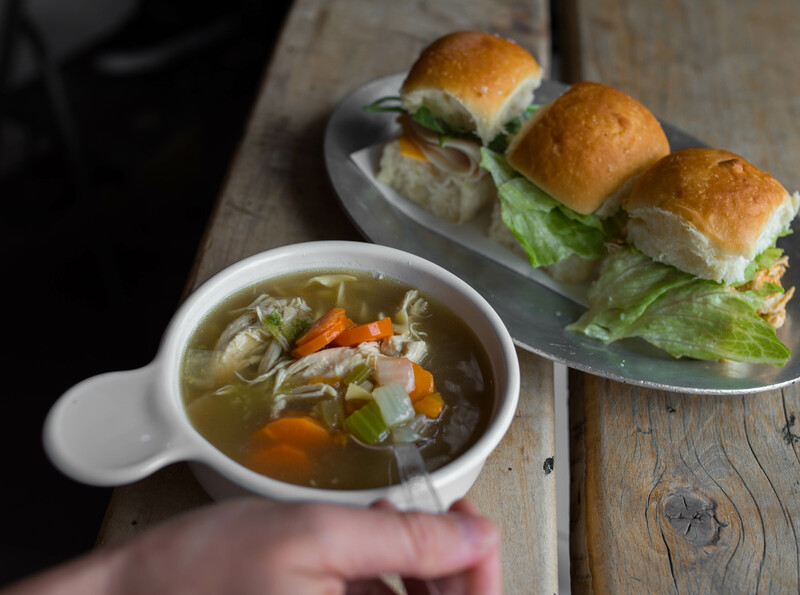 Our post title says, “the best soup in the DMV,” but it’s actually the best chicken soup we’ve ever had…like anywhere. They have locations in DC, Baltimore and Philly so definitely hit them up if you can. Founded by Valerie Zweig and Taryn Pellicone back in 2016, these two cousins have been bringing their A-game all day, err day for the last two years. Hangover Soup: made with ingredients that help cure hangovers – think ginger, jalapeño and habanero – and served with pulled chicken, egg noodles and sautéed veggies. Grandma Style w/ Matzah Balls: rich chicken soup with onions, garlic, ginger, carrots, celery, pulled chicken and dill. 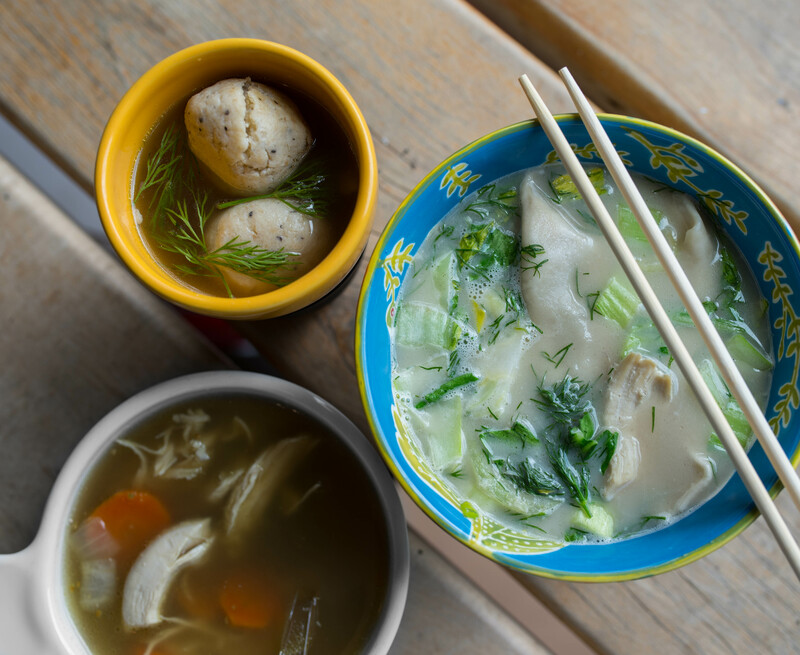 Thai Coconut Dumpling: a spicy coconut lime broth with thai basil chicken dumplings, shredded chicken, and boy choy, garnished with dill. It doesn’t matter if it’s hot or cold outside because Prescription Chicken’s good all year round. All three of the aforementioned soups were exceptional, like we’d legitimately be shocked if you didn’t love them as much as we did. If you enjoy spice, the hangover soup’s an absolute must-try. You can buy the broth (or any of their broths) separately and use it as a base for your own soup at home if you prefer. And don’t let the name throw you – it’s called hangover soup, but it’s filling and delish for any and every meal, whether you’re hungover or not. Prescription Chicken’s Matzah Ball soup was seriously the best matzah ball soup we’ve ever had – think super fluffy and light. 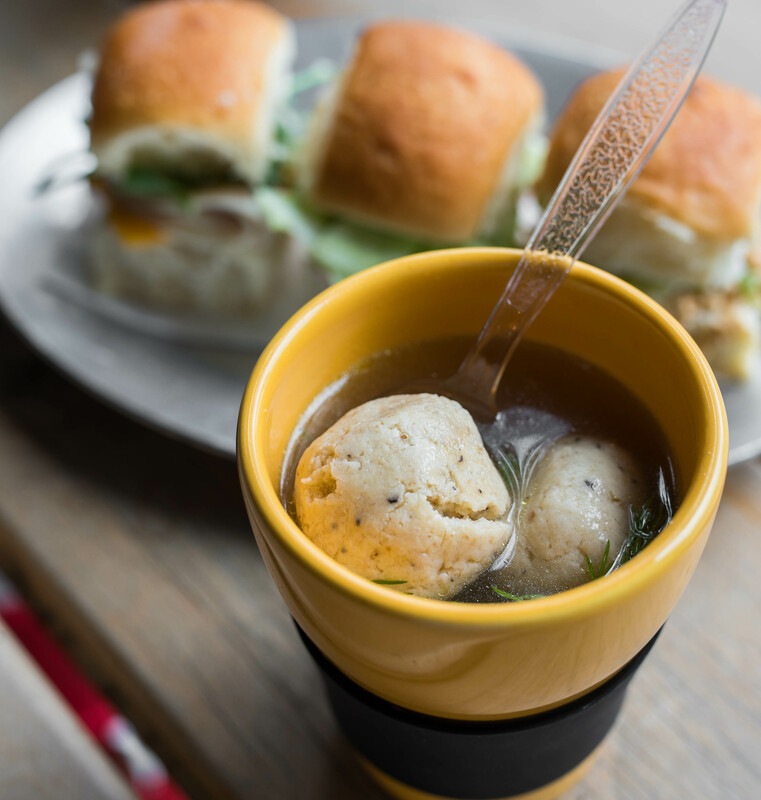 The matzah balls soaked up the hearty broth beautifully, and each bite was better than the last. 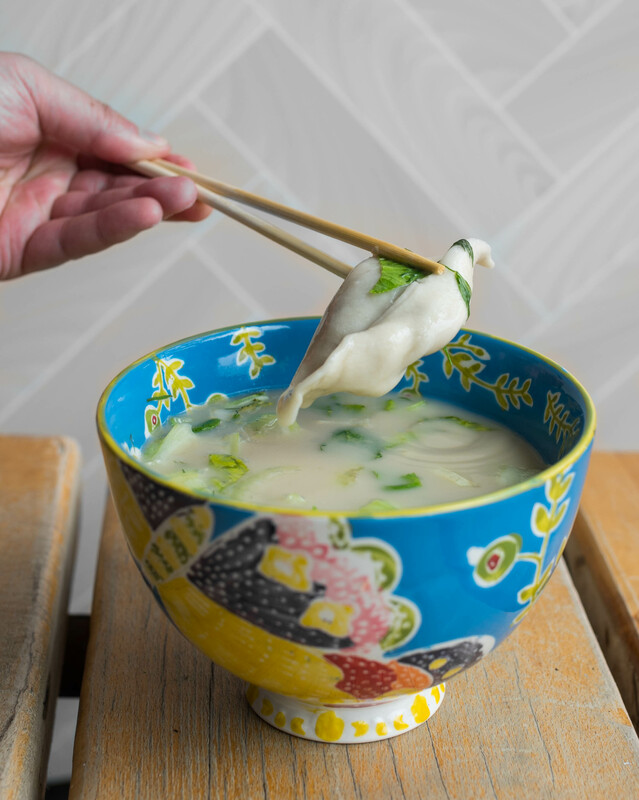 If you’re in the mood for something a bit more substantial, try their dumpling soup. The coconut broth was to die for, and it had a nice kick to it – definitely not as spicy as the hangover broth, but richer and just as flavorful. If you want something in addition to soup, they offer the following Challah Sandwiches ($6 each): turkey cheddar, turkey + ham + swiss, and old bay chicken salad. These were fine, but they were just regular sammies. The star of the show here was undoubtedly the soup. So, make sure you buy packs to go in bulk so you have them on hand whenever you need. Prescription Chicken also delivers in DC and Baltimore (ie. Uber Eats, Postmates, GrubHub, etc.) so that’s always an option. Anywho, we hope you enjoyed our latest post! Definitely let us know what you think after trying their noms. Until next time, friends! For more MD foodporn, check out THIS tab!